Friends of Officer Matthew Rittner are not only sharing their memories and sadness. 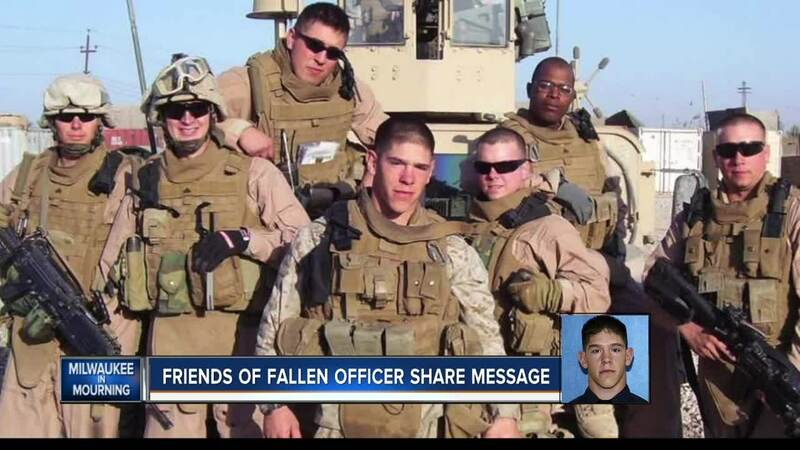 They’re also sharing hope, that his death on the job will serve as a much-needed wake-up call. MILWAUKEE — Friends of Officer Matthew Rittner are not only sharing their memories and sadness, they’re also sharing hope, that his death on the job - another Milwaukee police officer killed - will serve as a much-needed wake up call. “You expect to lose Marines in combat, not here,” said Max Zaruba, who served in Iraq with Rittner. Zaruba and Rittner remained close friends after their deployment. Zaruba talked to Rittner a few days ago. They had made plans to hang out. Ryan Lackey was also part of their team in Iraq. Wednesday, their hearts were shattered as their friend became the third Milwaukee police officer to die in the line of duty in just eight months.